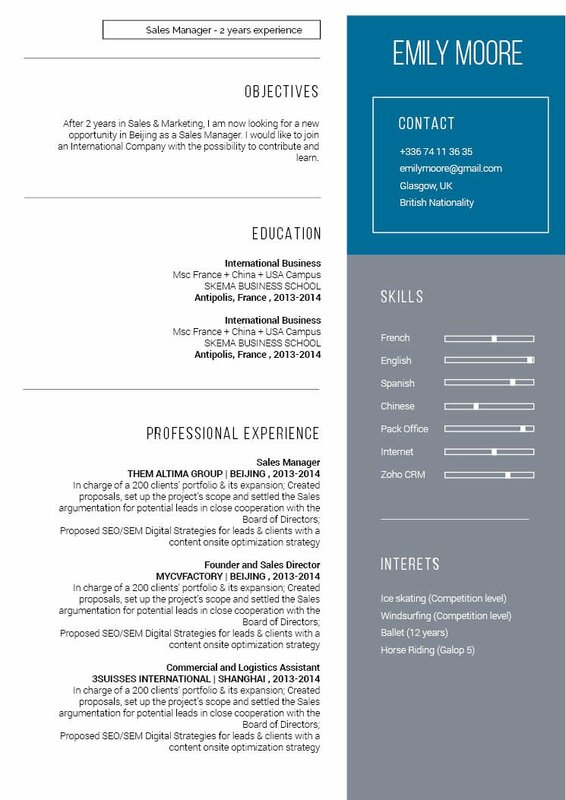 CV template to download "Handsome"
The Handsome Resume features a very clean lay out that effectively presents all the key information in your CV! 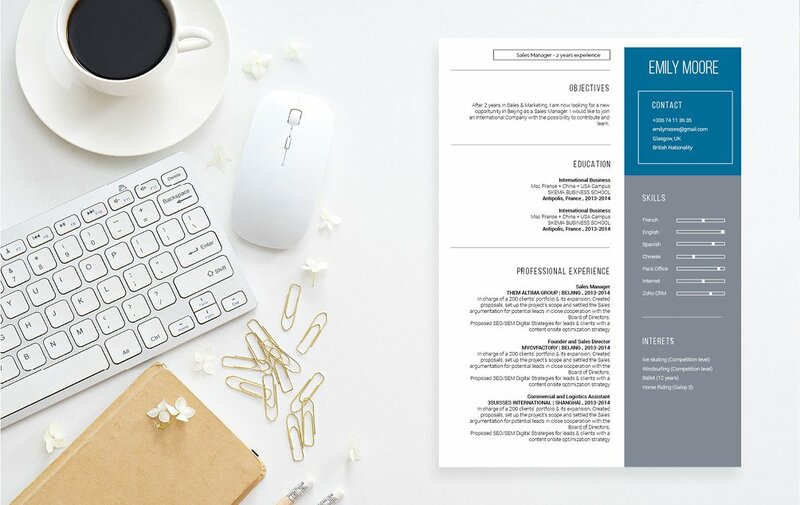 This modern resume template boasts an attractive selection of colors that create a resume design that is sure to grab the attention of your potential employer. Of course, this CV is perfectly applicable to any job type ! 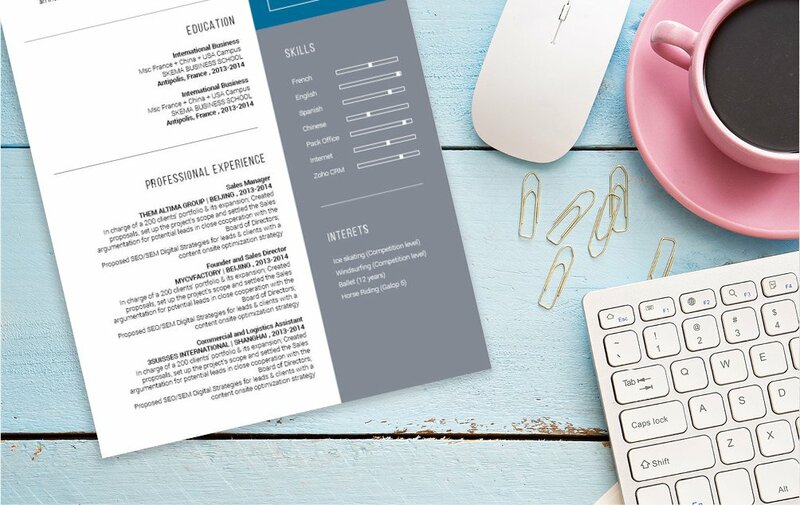 Rest assured, this resume template will help you get that job! How can you design a resume that can grab the attention of more hiring managers? It's quite simple! All you need is a comprehensive and effective resume design that is sure to help you land that dream job! 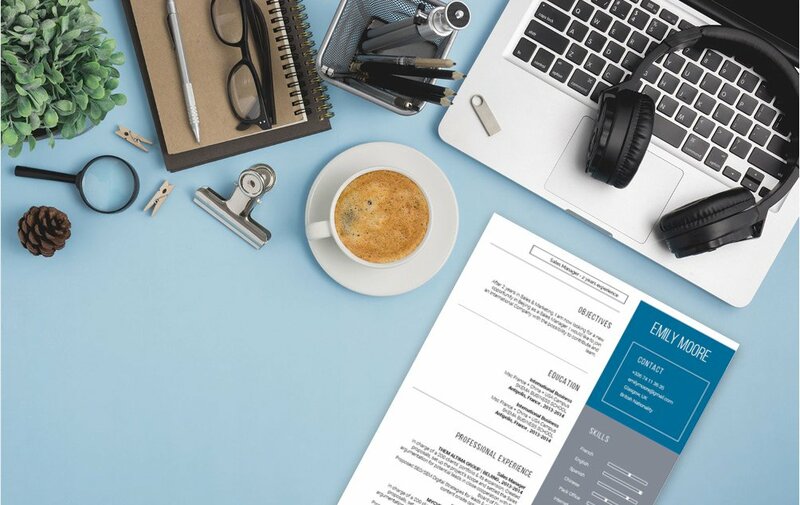 One of the major factors in creating an effective resume is how well you create its over-all lay out and design. Typically, resumes are just scanned for 20-30 seconds, it doesn't get fully read the first time through! So it's important that you present all your qualifications in a well-organized manner. To achieve this, select professional looking fonts such as Helvetica or Calibiri, limit your font sizes to 11-12 and use italic/bold font styles to guide the reader's eyes. Utilize bullets and graphics to direct the attention of your potential employer to the key phrases of your CV. Lastly, give you resume a logical format by using headings and subheadings—this makes it a lot easier to read!